Pentagon leaders suggested spending just about the same amount of money on net-centric warfare in fiscal year 2020 than they requested this year. In the Department of Defense’s budget request for 2020, leaders laid out a plan to spend $10.2 billion on command, control, communications, computers and intelligence systems. That’s up 2 percent from the $10 billion Pentagon leaders asked for last year. The figure marks the most amount of money the Pentagon has requested on such systems since fiscal 2012, when defense leaders asked for $10.9 billion for that area. 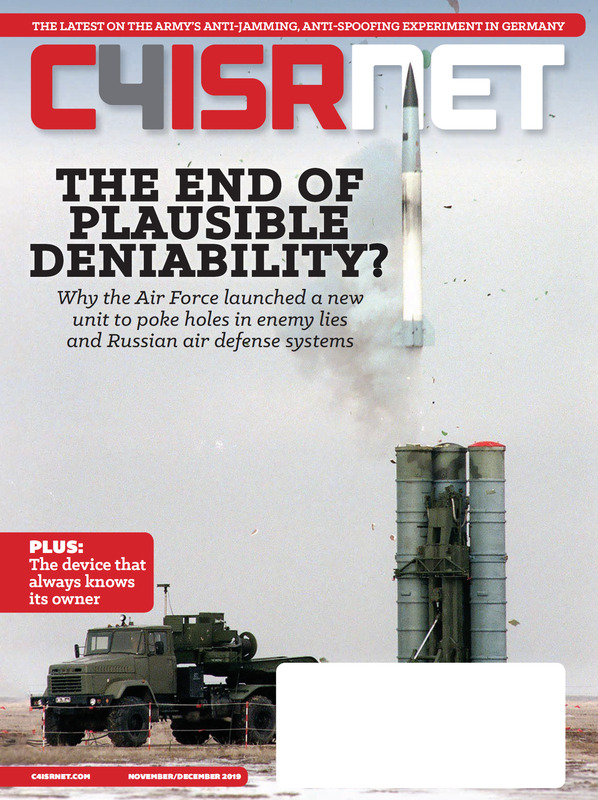 The budget is the fifth consecutive cycle in which defense officials asked for more money for C4ISR systems than the previous year. “The FY 2020 budget request supports the net-centricity service-based architecture pattern for information sharing,” leaders wrote in the weapons system book accompanying the budget request, using nearly identical language to last year’s request. Budget materials were released March 12. - $1 billion for base communications, down from $1.1 billion. - $700 million on automation, identical to last year. Spending on this area includes the Warfighter Information Network-Tactical program, the Handheld Manpack Small Form Fit radio, Joint Regional Security Stacks, and the Navy’s Consolidated Afloat Networks program. Leaders asked for $474 million for the WIN-T program to fund new equipment for one Stryker brigade combat team and modernization for five brigade combat teams as well as two networking divisions. General Dynamics and Lockheed Martin are the prime contractors on the program. Department officials also requested and $468 million in procurement funds for the HMS radios to fund the competition for Leader and Manpack radios. Harris Corp., Thales Communications and Collins Aerospace are the prime contractors on the program. Last year, Pentagon leaders said they expected to spend about $513 million in procurement funds in fiscal 2020 on the program.